LITTLE SPARKS ACTIVITY SHEETS is a series of activity based books for pre-primary students, designed using an innovative approach to develop and improve the necessary skills in them. These books make their learning an exciting and enriching experience. 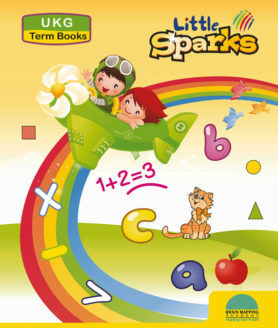 Little Sparks is an easy–to–use comprehensive pre-primary series of books. Little Sparks is a complete (All in one) book for Nursery. Each book consists of English, Mathematics, General Awareness, Rhyme time and Story time. Book designed with ample colourful illustrations to cater to the knowledge needs of pre – primary students of the day. The popular rhymes and stories motivate the students to enhance their learning capabilities and acquire the requisite skills. Graded introduction of topics with colourful illustrations which facilitates effective learning. Stories and rhymes provide a joyful experience of learning. Role-plays help develop basic social skills and co-operative learning. 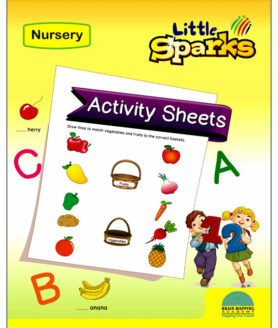 Activity pages enhance creative learning abilities of the child and motivate him for self-learning. A highly pictorial approach with colorful and amusing illustrations makes the books interesting for the child. 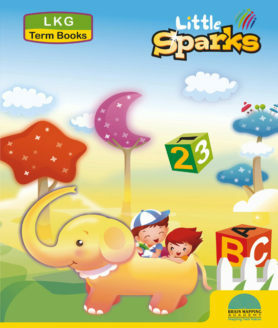 Little Sparks is an easy–to–use comprehensive pre-primary series of books. This pack consists of 3 books. Little Sparks is a complete (All in one) book for LKG. Each book consists of English, Mathematics, General Awareness, Rhyme time and Story time. Book designed with ample colourful illustrations to cater to the knowledge needs of pre – primary students of the day. The popular rhymes and stories motivate the students to enhance their learning capabilities and acquire the requisite skills. A highly pictorial approach with colourful and amusing illustrations makes the books interesting for the child. 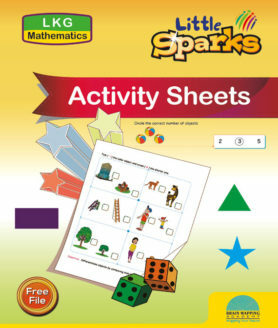 LITTLE SPARKS ACTIVITY SHEETS is a series of activity based books ((Set of 3 books-Maths,English&GA) for UKG students, designed using an innovative approach to develop and improve the necessary skills in them. These books make their learning an exciting and enriching experience. 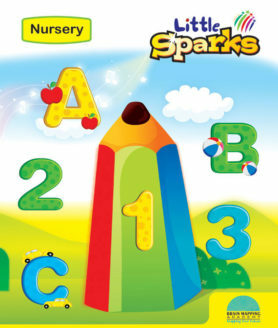 Little Sparks is an easy–to–use comprehensive pre-primary series of books. Set of 3 books. Little Sparks is a complete (All in one) book for UKG. Each book consists of English, Mathematics, General Awareness, Rhyme time and Story time. Book designed with ample colourful illustrations to cater to the knowledge needs of pre – primary students of the day. The popular rhymes and stories motivate the students to enhance their learning capabilities and acquire the requisite skills.